You may not realize that there’s an abundance of inexpensive, renewable energy right lying right beneath your home. Geothermal power, once out of reach for most properties, has advanced significantly over the past decades. More and more homeowners are discovering that having a geothermal heating and cooling system installed is more than just a possibility: it’s the best possibility for their home. A properly installed geothermal system offers a household dependable heating and cooling combined with reduced bills. One of the areas of comfort that Collier's Heating & Air Conditioning specializes in is renewable energy solutions for both homes and businesses in Warsaw, IN. We offer geothermal installation, repair, replacement, and maintenance services, and have for 30 years, making us the best choice for experience and skill. To find out more about what we can do to convert your home comfort system to a geothermal one, call our team today. Besides providing products and services to keep humans warm, you also do so for exotic pets. Where a conventional heat pump (an air–source heat pump) uses air as the medium for exchange, a geothermal heat pump (a ground–source heat pump) uses the earth itself. In both systems, Indoor coils absorb or release heat from the air and serve as the home’s distribution system. 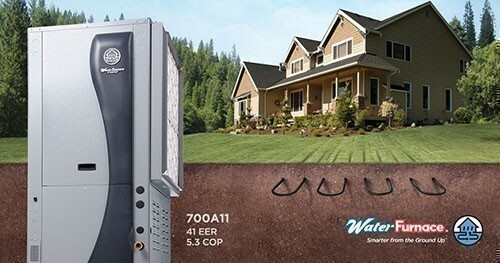 However, geothermal heat pumps are much more efficient because they take advantage of the relatively constant ground temperatures, which are less variable than outdoor air temperatures.They are also quieter, more durable and require less maintenanceA geothermal heating and cooling system is a type of heat pump, a comfort system that moves heat from one place to another in a process called heat exchange. When heat is extracted from indoors and deposited outdoors, the heat pump works in cooling mode. In heating mode, this process reverses. We sell two types of geothermal systems: water–based and refrigerant–based. In the case of water–based, circulate an antifreeze solution through underground plastic loops using a circulating pump. This antifreeze loop then exchanges heat with a refrigerant loop through an antifreeze–to–refrigerant heat exchanger. Refrigerant–based geothermal systems – also called Direct Geoexchange systems – refrigerant exchanges heat directly with the soil through underground copper loops without the use of any intermediary loop, therefore relying on a one–step heat exchange rather than two–step. In both cases, the underground loops either deposit or remove heat from the ground about anywhere from 5 to 100 feet down, where the temperature remains stable regardless of the weather. Energy savings: Because geothermal systems access the stable temperature of the earth, they operate at higher energy efficiency than air–source heat pumps. The U.S. Department of Energy estimates that a geothermal system on average is three to four times more energy efficient than a conventional heat pump. Reliability: Standard heat pumps can sometimes struggle in intense cold, since they must draw their heat energy from the outdoors. Geothermal heat pumps do not have this problem, since they use the stable temperature in the ground for heat exchanger. Durability: You’ll have a tough time finding a heating or cooling system that will last as long as a geothermal heat pump. The indoor components can last more than 20 years, while the ground loops can last more than 50 years. Collier's Heating & Air Conditioning was one of the first contractors in North Central Indiana to offer residential and commercial geothermal services 30 years ago. We remain dedicated to geothermal energy and stay up to date with the most recent developments in technology. 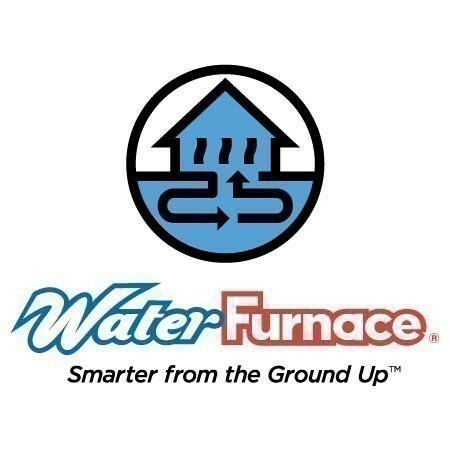 If you’re interested in adding a geothermal heat pump to your home, we should be the first people you reach out to. Along with installing new geothermal heating and cooling, we also handle any necessary repair and maintenance work, and will replace older systems. We want you to be able to enjoy the numerous benefits of your geothermal heat pump for years to come. Contact us today to arrange for service.